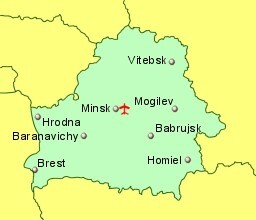 The Republic of Belarus is a land locked country bordering Russia, Ukraine, Poland, Lithuania, and Latvia. 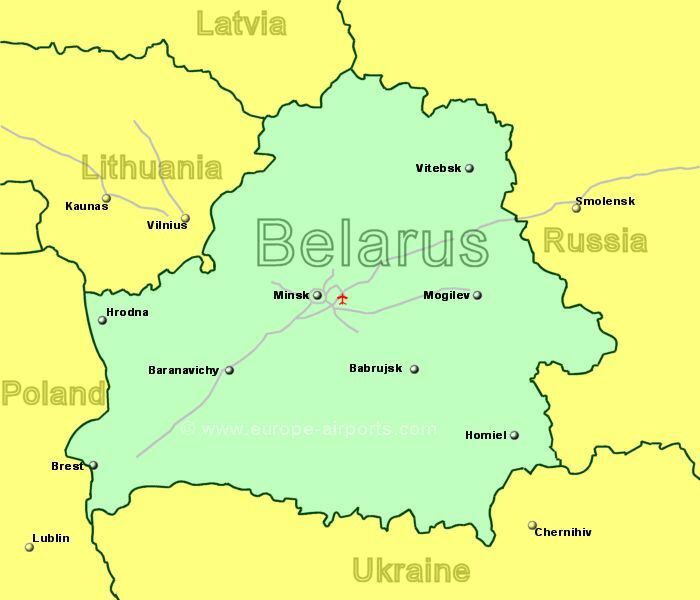 Belarus is a relatively flat country (it's highest point being only 345 meters above sea level) with many small lakes (over 11,000 in number), rivers, large areas of marsh, and large areas of forests which cover approximately one third of the country. The climate of Belarus features cold winters (some paarts being at sub zero tempuratures for upto 4 months of the year) and cool moist summers. The country has maintained closer links to Russia than any of the other former Soviot Republic countries in Eastern Europe. The currency in Belarus is the New Belarusian Rouble (BYN), introduced at the beginning of 2016, with an exchange raate of approximately 2600 BYN to the British Pound.